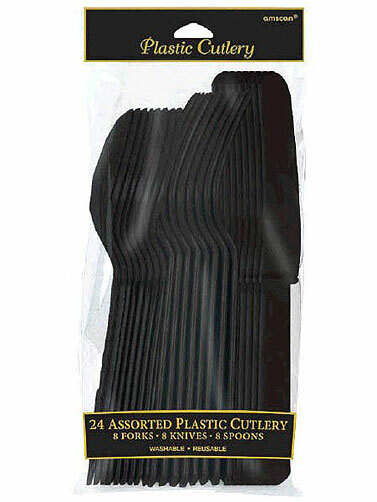 Black plastic cutlery will coordinate well with any Halloween party theme. 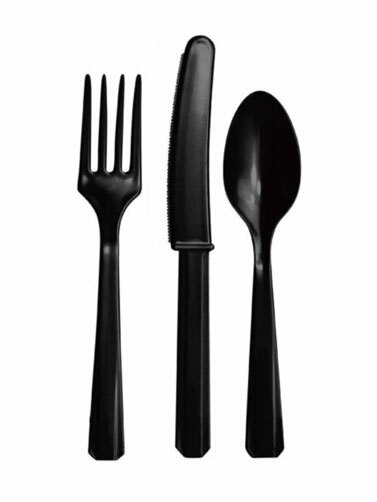 Package contains one knife, one fork and one spoon for eight guests. 24 pc.